With globalization of the Indian economy, vast opportunities of growth have been thrown open for the computer software and hardware industry. Software being one of the largest growing sectors of the Indian economy, the Department of Computer Science & Engineering at the LGC has been at the forefront of churning out software engineers with a high caliber of technical expertise. It continues to foster and engender the innovation and breadth of vision necessary to excel in the blooming software industry. The experienced faculty exposes the would be computer engineer to a rigorous and exhaustive curriculum designed to bring out the best into them and to keep them in touch with the latest state of the art technology. The labs are all equipped with all the latest softwares. The students are developing their skills using ORACLE9i, C++, VB, .NET & Internet tools apart from traditional packages like C, JAVA, DOS, MS-Windows, MS-Office, AUTO CAD, etc. The students are also encouraged to study the developments in the field of Information Technology like Web page designing, E-Commerce, Multimedia, Cloud Computing, Grid Computing & Network Security etc. Various software packages required for lab sessions of different subjects of the course curriculum are available. The department strongly believes that neither the industry, nor the academics alone have the resources to adequately deal with the quest for innovative excellence in this field of computers, for global competitiveness. 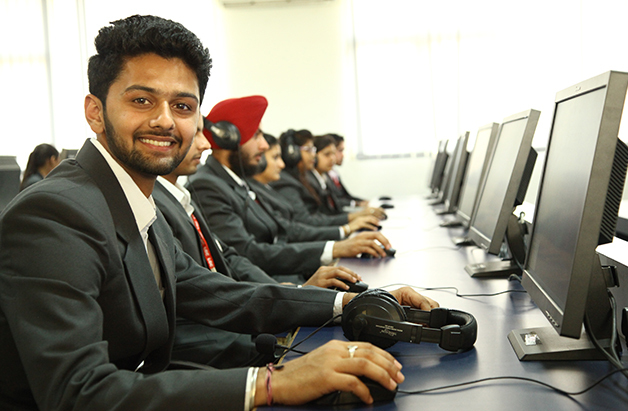 Hence the Institute-Industry interface programs enable the students to interact constantly with the industries. Equal importance is given to the classroom learning which is meant primarily for the theoretical or conceptual inputs of knowledge on a variety of projects.